Items are in perfect, clean condition. Fleece pants were only worn once. Blue half zip was worn several times. Purple tights and black half zip were worn 2-3 times. 2) Blue half-zip pullover with herringbone trim. Long sleeves with thumbholes, pockets and reflective detail. 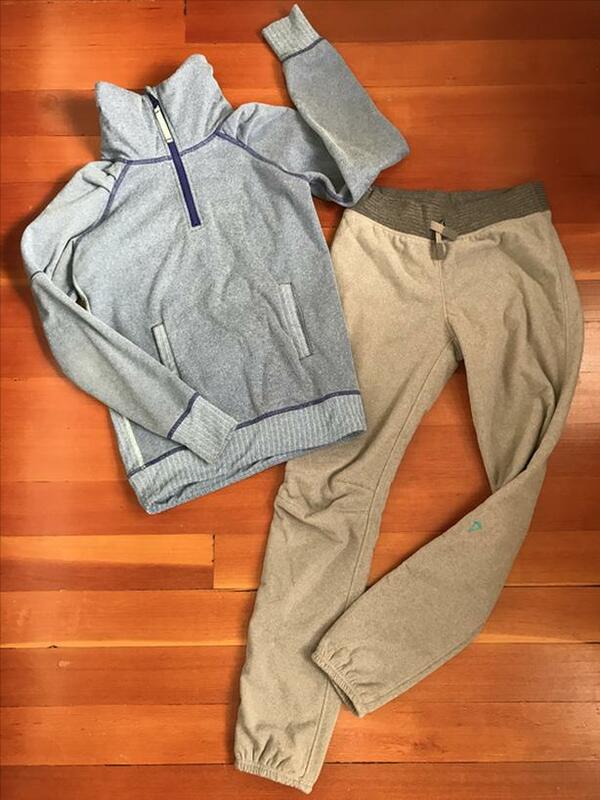 Lined in a plush, warm fleece like the joggers listed above. 3) Purple tights with ruching along lower legs. The colour is accurately captured in the photo showing both the pants and black/white half zip. 4) Black and white half zip pullover with pink zipper track. Long sleeves with thumbholes and reflective trim.